Is the most important image on the internet in 2019 determined by Google rankings? By the number of social media likes? By the number of views? Or perhaps by the number of times it was shared? 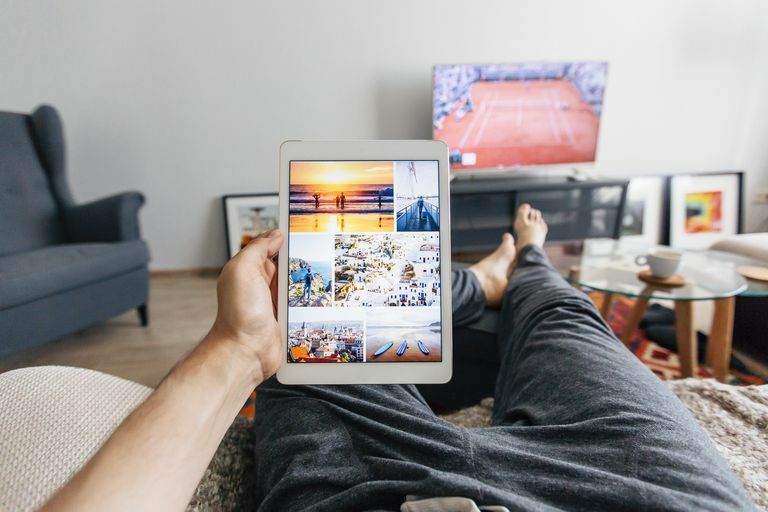 There isn't just one way to measure online popularity, which is why we've scoured the internet for a combination of images that performed well across various search and social platforms. Each of the following images have earned a spot on this very important list for capturing the hearts of internet users far and wide. This particular image is the number one result in Google Image search for "most important image on the internet" at this time of writing. Featuring the very internet famous "Doug the Pug" looking incredibly relaxed and fashionable, the image is part of a list of images posted to Imgur of the top 10 results for the search term at the time it was posted. In case you were questioning the importance of this pug, you should know that he has 3.7 million Instagram followers and 2.78 million Twitter followers. Google might show Doug the Pug as its top image, but what about other search engines? Well, according to both Bing and Yahoo, this diagram is the top image when you search "most important image on the internet" (at this time of writing). It appears in the same Imgur list as Doug the Pug. The doodles in the diagram aren't that impressive, but the question it asks is certainly amusing. Since February of 2018 and almost an entire year after that, this image that Kylie Jenner posted to Instagram of her new baby daughter's hand holding her finger was the most liked Instagram photo with over 18 million likes. That's right — it takes Kardashian-level fame combined with a life-altering event like giving birth to garner that much engagement! Although it was dethroned in early 2019, it still deserves a spot on this list for the length of time that it reigned. In case you were wondering, here's the post that beat Kylie. Instagram user world_record_egg set out to beat the record for most likes on Instagram and succeeded on January 13th, 2019 with nothing but a bland image of an egg. The egg post went wildly viral, and shot up by millions of likes in a mere matter of hours. As of January 16th, 2019, it has over 45 million likes. Crying Cat, also known as Schmuserkadser, is an internet meme featuring a teary-eyed white cat that debuted on the internet back in 2014, but it started picking up major steam in 2018. According to Google Trends, interest in Crying Cat reached its peak late in 2018 and is still going strong in 2019. The image itself is iconic and today you'll find that it's become the inspiration for many Photoshop edits posted across various social media platforms. One of the first memes of 2019 took off the night of the Golden Globes when viewers kept spotting a woman photobombing all the actors professional camera shots. Her job was to offer them bottles of Fiji water, but the internet decided she seemed way more interested in secretly stealing the spotlight from the actors who were being photographed. In March of 2018, Twitter user @Solo_Kalin posted one of her Instagram photoshoot outtakes as a joke to show the struggle of posing for a glamorous photo. The image shows Kalin crouched over her knees in heels and pink sunglasses, appearing to squint in confusion at something in the distance. Since it was posted, it's become the reaction image of choice for meme lovers and social media users looking to express their general exhaustion and disorientation while searching for something. Tidying Up with Marie Kondo debuted on Netflix on January 1st, 2019 and has been inspiring people everywhere to get rid of anything that doesn't spark joy for them. The TV show has since spawned all sorts of hilarious memes — most of which are meant to capture viewers' exaggerated experiences of enlightenment in learning how simple it really is to tidy up. Japanese billionaire and founder of Japan's biggest online shopping mall Zozotown, Yusaku Maezawa, took to Twitter the first week of 2019 with this image. He asked his followers to follow him and retweet the original tweet for a chance to win a generous cash prize. Over five million retweets and 1.4 million likes later, Maezawa now holds the top spot for most retweeted tweet ever.